Alcohol addiction continues to be a growing problem among people of all ages. Addiction to alcohol does not discriminate it can happen to anyone regardless of age or educational background. Some of the most intelligent people can develop an alcohol problem. 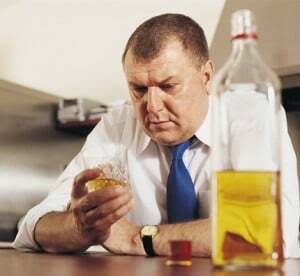 Alcohol addiction can be explained as an overwhelming desire to consume large amounts of alcohol on a continual basis. An alcoholic may drink due to personal problems including financial or emotional instability. Whatever the reason, alcoholism is a serious problem and it will only get worse if the alcoholic does not seek professional help. Alcoholism can be genetic, a person can inherit a predisposition to alcohol. Therefore, if alcoholism runs in your family it may be a wise decision to limit your alcohol intake. If an alcohol addiction is left untreated serious physical and psychological problems can result. For example, liver disease and malnutrition is common among alcoholics. In addition, consuming large amounts of alcohol can lead to serious social and mental dysfunction. There are many alcohol addiction treatment centers throughout the United States. These centers are designed to help the alcoholic recover from their addiction and help them live a productive life. Alcohol addiction treatment centers have a trained staff of physicians and nurses to assist each patient with their alcohol withdraw and recovery. Alcohol treatment can be difficult especially in the early stages. Many alcoholic patients must be withdrawn from alcohol by using a variety of approved medications. At Sober Solutions we excel at finding the right treatment center for the person. Not every rehab center is a right fit. It is very important to make sure that the environment is just right to ensure a longer lasting sobriety, if a person does not feel comfortable they will either check out or just go through the motions and will relapse once they get out. Rather than you calling multiple rehab centers and giving information over and over again, you will call our counselors and then they will do the searching for you. You are in a hard situation let us help take some of stress and get you or your loved one the help that is needed. It is a free service, so why not call? Alcohol Addiction Treatment Centers also focus on nutrition. Many alcoholics do not eat properly and may suffer from malnutrition. In addition, alcoholics may suffer from serious vitamin deficiencies. Many times it is difficult for the alcoholic to agree to seek help. However, once the alcoholic agrees to get help it is important to find a good alcoholic treatment center. Most alcoholic treatment centers have programs that last anywhere from 28-30 days. Most insurance plans will cover the cost of the treatment facility. During the course of treatment alcoholics will be required to speak one on one to trained counselors and participate in open AA meetings. AA meetings allow the alcoholic to speak openly about their disease among other alcoholics. After alcoholic treatment is completed the majority of alcoholics will continue to meet with addiction counselors or even psychiatrists for a prolonged period of time. Keep in mind, an alcoholic is never really cured they struggle each and every day in an attempt to stay away from alcohol and live a somewhat normal life. Alcoholism is a chronic and progressive disease. Alcoholism can strike anyone at any time. However, there is help out there for anyone who decides they want to kick their addiction once and for all. AA meetings are suggested once the alcoholic returns to normal living. AA meetings are held nearly everyday in most states. The alcoholic can have a relapse at any time that is why AA meetings are extremely important. For more information on alcohol abuse… Click Here.